November is a momentous month here at Made as we launch into the food category for the first time. Woolworths has ranged nationally our Rokeby Farms Whole Protein Yoghurt and Cocobella Coconut Yoghurt. Rokeby Farms Whole Protein Yoghurt is high in calcium and protein with each tub providing 1/3 of your daily protein needs. Our Quark yoghurt is cultured the authentic Swedish style – slow and low for a thick and creamy yoghurt with a mild taste. 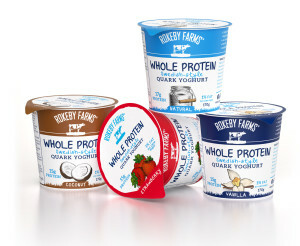 Rokeby Farms Whole Protein Yoghurt is available in four 170g varieties – Natural, Vanilla, Strawberry and Coconut. From Australia’s favourite coconut water brand, Cocobella*, comes Cocobella Coconut Yoghurt. Cocobella coconut yoghurt is naturally dairy free and contains 30% less fat than the leading coconut yoghurt brands. 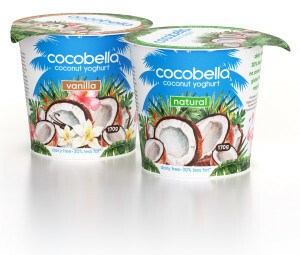 Cocobella Coconut Yoghurt is available in two flavour varieties – Natural (170g and 500g) and Vanilla (170g).